In this video, you’ll learn how to get your podcast added to Spotify from your Libsyn hosting account. Why Get Your Podcast in Spotify? Before I show you how to do that, I want to tell you why you should get your podcast in Spotify. 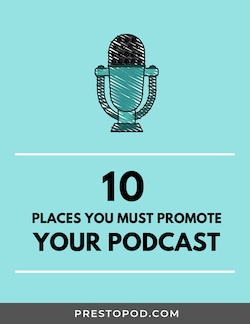 So Spotify is a great opportunity to reach a new audiences and grow your podcast even faster. Podsafe Music: Firstly, you need to ensure that your podcast is using Podsafe music. In simple terms that means you have a license and/or permission for all music that you’re using in your podcast. Libsyn Account: Secondly, you need a Libsyn hosting account. In other words, your podcast should be hosted on Libsyn. If you’re NOT currently using Libsyn, then this tutorial isn’t for you. But if you are using Libsyn, then let me show you how easy it is for you to add your podcast to Spotify. Summary: this should be a maximum of 385 characters. That’s it! Your podcast (once approved) should appear in Spotify in about 2 weeks or less. Note: Spotify will NOT notify you when your podcast is live, you’ll need to keep checking yourself. And make sure to do this on the mobile Spotify client as the desktop app may just be showing your podcast information from iTunes which doesn’t necessarily mean that you podcast is in Spotify. Once you’ve setup the Spotify destination, Libsyn will automatically select your episodes and publish them to Spotify. In most cases, this will be the same as the episodes you see for your podcast in iTunes. But there may be cases where you don’t have to show one or more episodes in Spotify e.g. let’s say that you have an episode where you think it might not be Podsafe. In these cases, you can manually deselect that content from the Spotify feed. Once your podcast is in Spotify, you’ll be able to go Stats > Spotify Stats to see download numbers. The Spotify stats are NOT included in your main Libsyn download stats. So you’ll need to manually add the Spotify numbers to your Libsyn stats to get a more accurate number of your downloads for your podcast. Note: The Spotify stats are only available to Libsyn customers with “Advanced” accounts i.e. you pay $20 per month (or more) for your Libsyn account. If you’re on the Basic plan, you should still be able to get your podcast into Spotify, but you won’t see any stats. If you have any questions, please submit a comment below and I’ll do my best to answer your question. Peter – yes, previously published podcasts will be submitted to Spotify. So for example, if your podcast is setup to show the latest 100 episodes in iTunes, then you can expect to see the same 100 episodes in Spotify. You can actually control exactly which episodes get published to Spotify from Libsyn. Yes, as I understand all Libsyn plans let you publish your podcast to Spotify. But if you want to see Spotify stats, then you will need to upgrade from the Basic plan. Hello, I can´t find the Spotify option under de “destination” tab. Maybe it isn´t available in spanish or my country (méxico)? Have you checked on both pages?